Uppermost shares a track from his new album called "No Human Code". The full album will be released in September. If the album has tracks as epic as this one, then we're in for quite the treat in a few days! The suspense in this track just builds and the bomb drops at 1:33. It goes heavy and then transforms into heavy euphoric. I am highly anticipating this album. Be sure to check out this track. When you said bomb drops I looked at the audio chart for the track and realised the first half of it looked like an old fasion bomb! Had a good feel to it. Love this guys music do you know how much the album will cost? Uppermost releases his tracks on Beatport and they are $1.50 each song for 320kbps mp3. How many songs? I do not know. but he lost me after 2:10. Too much buildup, but when it actually gets melodic @2:11 it's not bad! Oh my, I wonder what the rest of the album has to offer. I'm not in love with electronic music, but these are really nice! This track sounded really odd to me, different. Honestly, I want more. 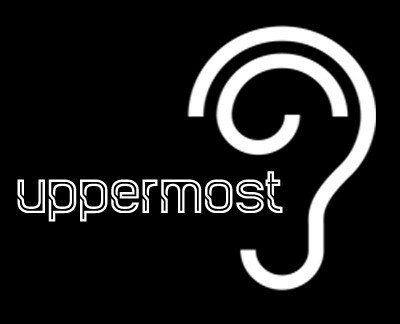 uppermost is the man, I can't wait for this album! Listening to it right now... starts out spooky, I already like it :). I like how the sound increases and builds! This is pretty sweet. Oh man, the second half is trippy. Yet an other artist to add to my collection of "Awesome music from Electricaddict!"